It’s that time of year, the Phillies are looking to develop starting pitchers to fill a big need. We have seen most of the potential prospects pitch at some point when they have come through Clearwater and on MiLB-TV. 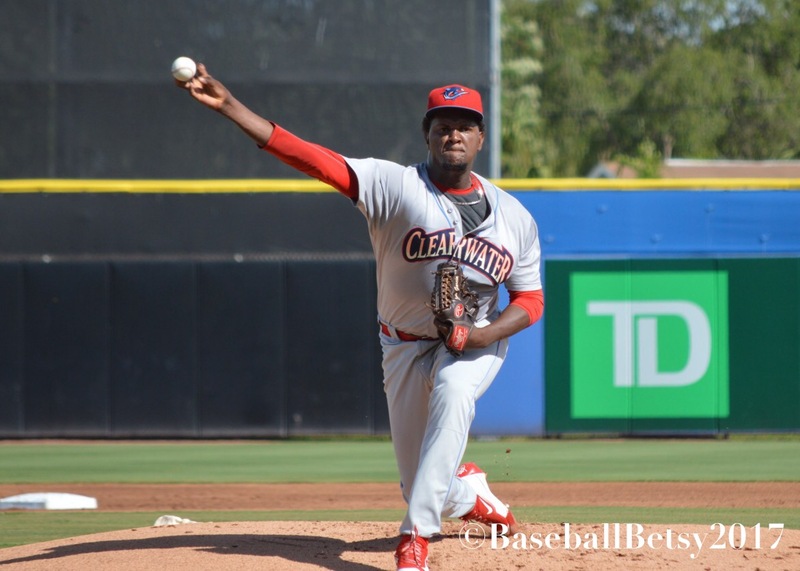 The top two minor league starters I have watched over the last couple years in Clearwater have been Jose Taveras and JoJo Romero. They should make a nice righty/lefty combination someday soon in the Show. They are on the cusp of major league stardom and should debut sometime this season. Watch them pitch HERE and HERE at High A in 2017. 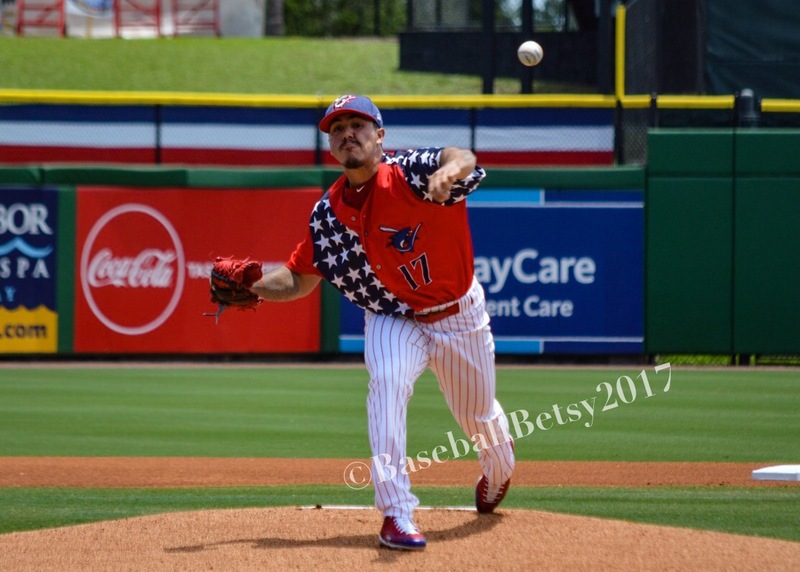 Other names mentioned in numbers articles include the likes of Tom Eshelman, Franklyn Kilome, Ranger Suarez, Cole Irvin, now reliever Seranthony Dominguez, Adonis Medina and even Sixto Sanchez with his 100 mph heat. The two starting pitching prospects I will be watching closely in spring training will be Jacob Waguespack and lefty Nick Fanti. Jacob’s fastball tops in the mid 90’s and Nick’s fastball in the high 80’s according to reports. 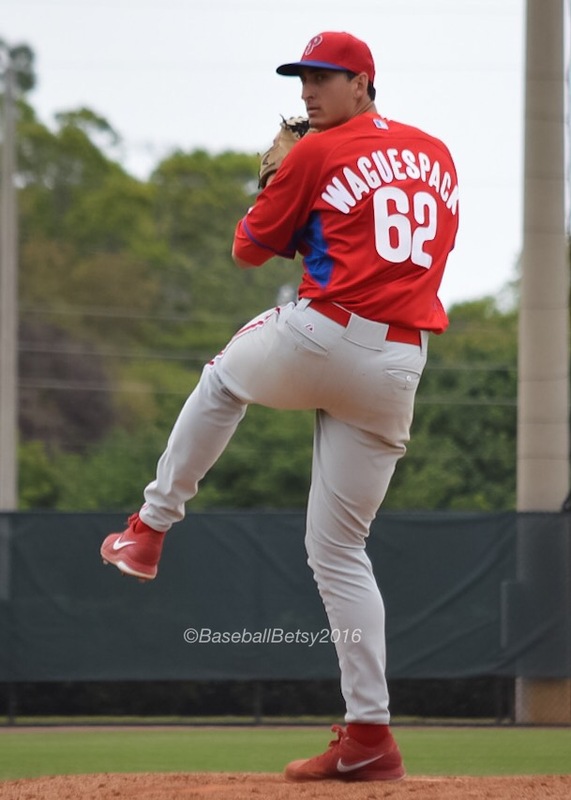 Wauguespack shot up the Phillies system in 2017, starting out with the Threshers as a middle reliever, and winding up dominating as a starter in a AAA playoff game with Lehigh Valley to end the season. Watch HERE. Fanti was one of the most interesting pitcher in the minor leagues last season where he pitched an 8.2 inning no-hitter and then a nine inning no-hitter going 9-2 for Lakewood last season. 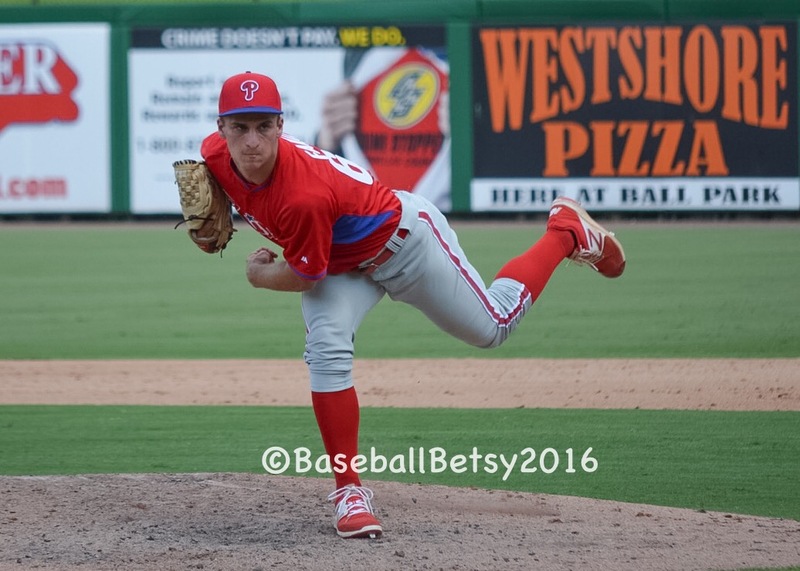 In three seasons in the Phillies farm system Nick has made 42 appearances going 18-3 including a 5.1 inning win in the GCL playoffs in 2016. Watch his work in the GCL playoff game, HERE. There you have it, the Phillies’ minor league starting pitchers to watch in spring training. “Maybe never in our history has it been more important to develop starting pitchers.” — Phillies general manager Matt Klentak to Matt Breen on Dec. 13 at the winter meetings. This entry was posted in 2018, January and tagged Baseball Betsy, Connor Seabold, Jacob Waguespack, JoJo Romero, Jose Taveras, Nick Fanti, Phillies, Starting Pitchers. Bookmark the permalink. Maybe its me and just being very myopic….but the system seems to have more arms of distinguished potential and exceptional skill-sets, than I have ever seen or can recall from the past.. Even the Baby Aces era did not seem to have this much talent spread out thru the entire farm system.